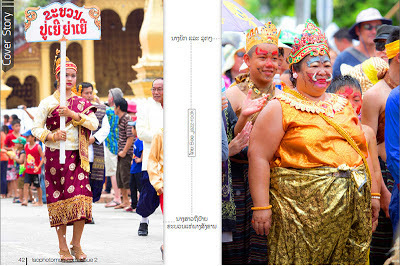 Laoconnection.com: New Lao Photo Magazine - Free! 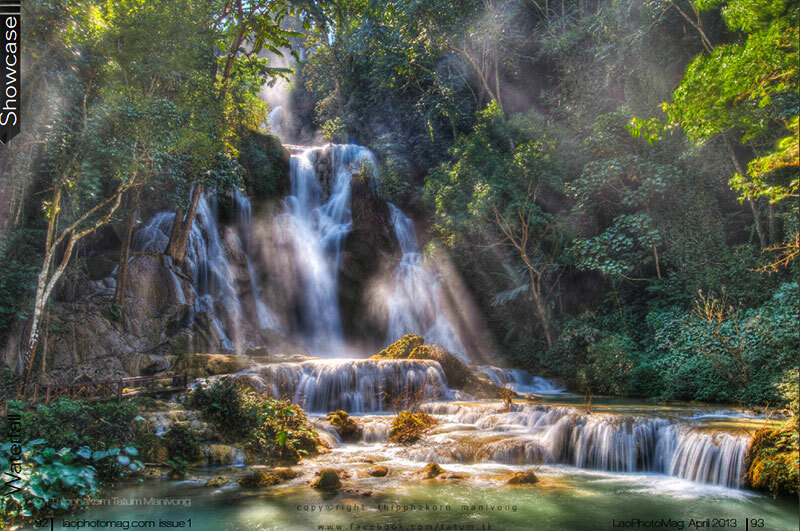 Actual photo of Kuangsi Waterfall in Luangprabang (it's not a painting!). 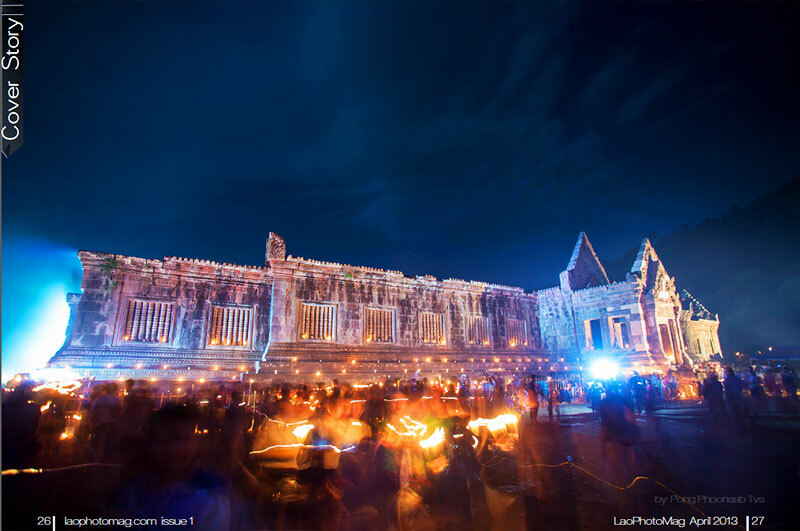 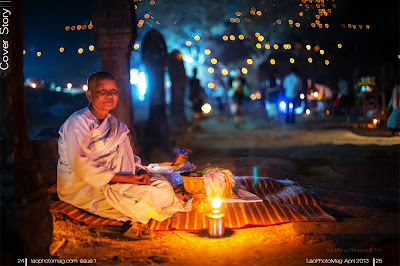 Wat Phu Festival at night. 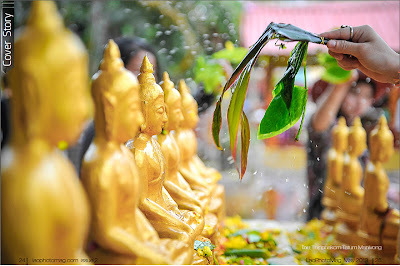 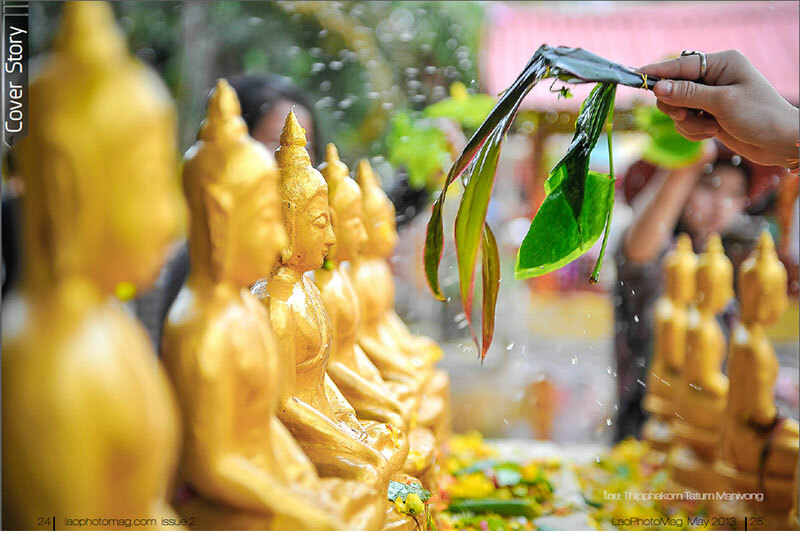 Blessing the Buddha statues at temple during Lao New Year Celebration. Lao New Year celebrations in Luangprabang. 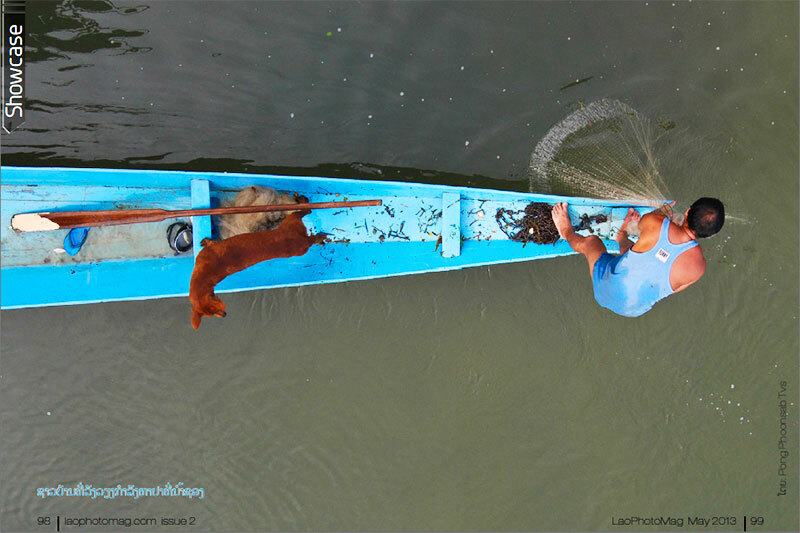 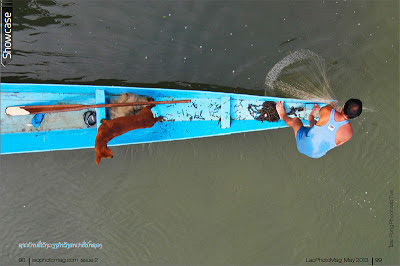 Man fishing with his dog.